What French products should I bring back home, is a question that every beauty lover will ask when going on vacation in France. The best 2017 French items that France is famous for is listed below in a quick and easy checklist for your next trip to the Côte d’Azur. It’s a lot cheaper to buy this product in France. Prodigieux le parfum is also a great French perfume to buy when visiting France. 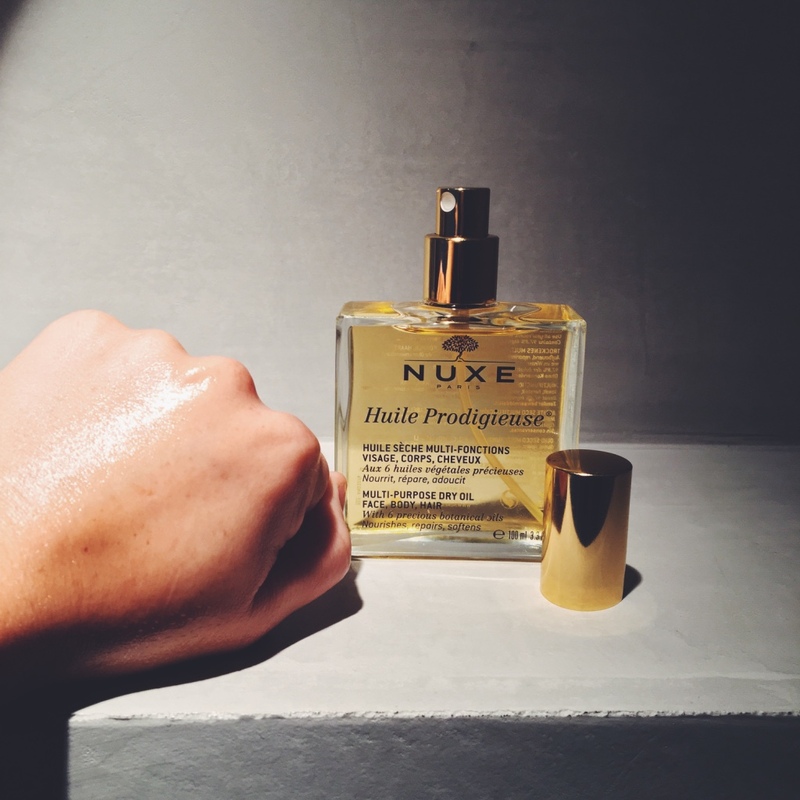 Combine it together with Nuxe’s oil to get an even longer lasting yummy smell! 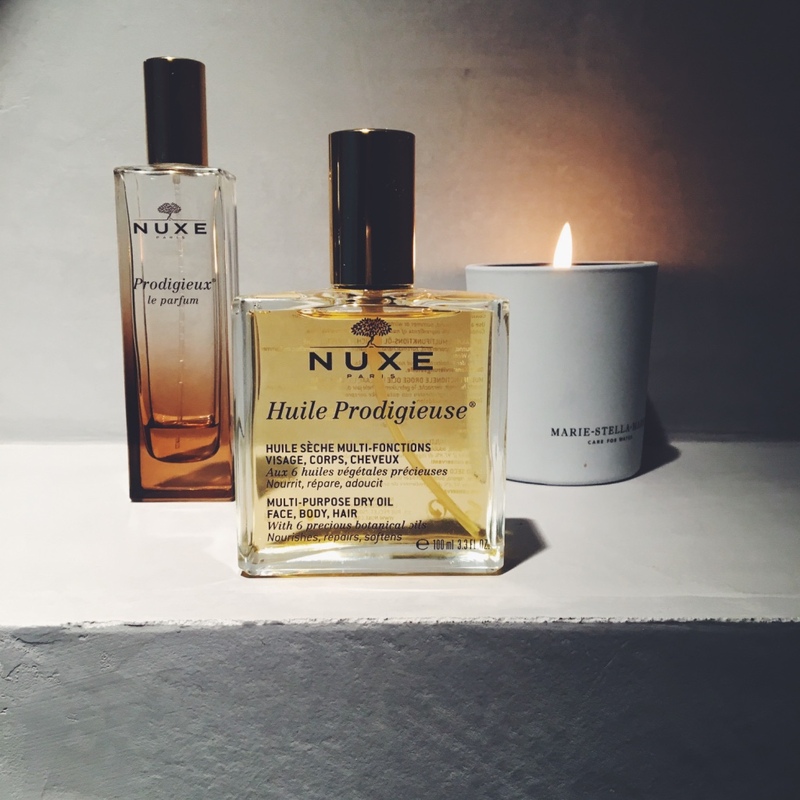 Which products are a must buy from Nuxe? Actually everything from this brand is great! Even their beeswax lip balm, try it out. What product should you bring back home from France? 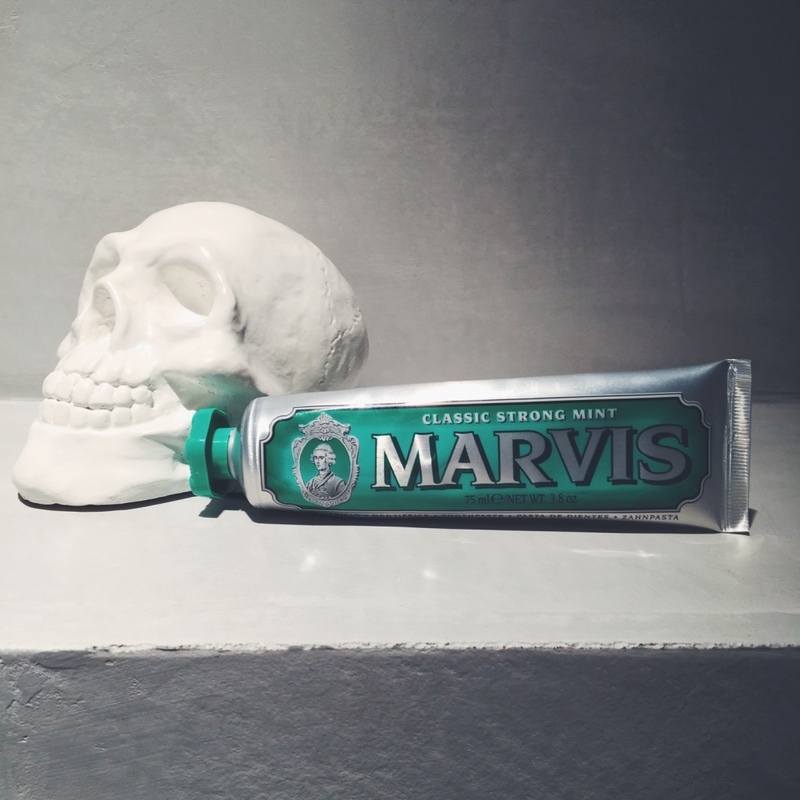 The answer is: the best toothpaste in the world called Marvis! Not only does it look amazing as home interior decoration on your bathroom sink but Marvis is also great for a minty fresh breathe. This French must have designer beauty product is a must have for your bathroom. It’s almost too nice to use, but I assure you this secret French pharmacy product will give you amazing white teeth. Buy Marvis toothpaste, the must have beauty product, at a French pharmacy. 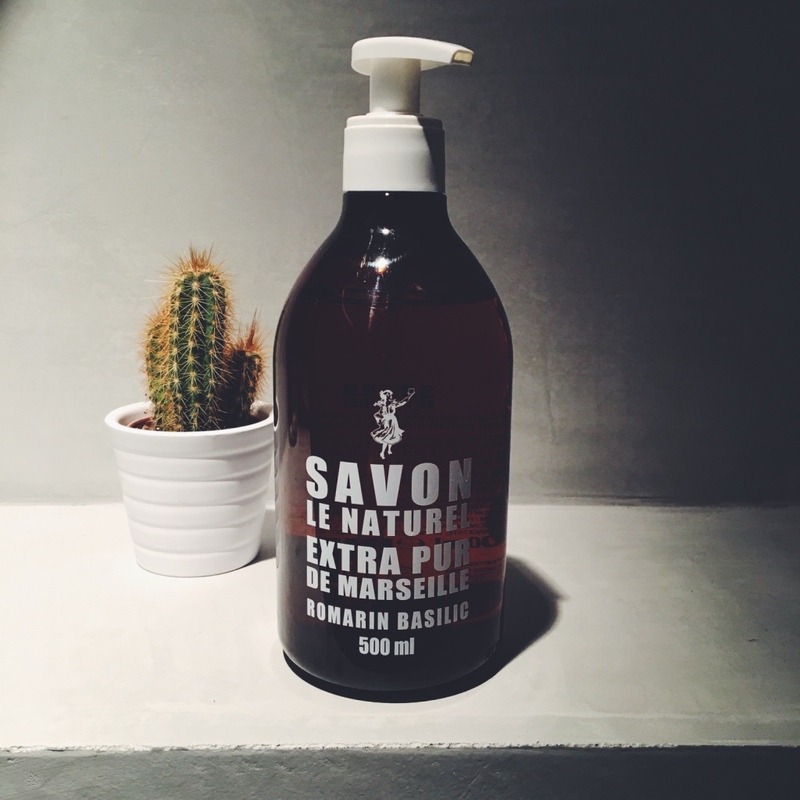 The best French soap to bring back home is Savon Le Naturel Extra Pur de Marseille, because it’s not too expensive and it looks fancy in every bathroom. Find cheap and awesome products in the French grocery stores by just wandering through the isles. I ended up walking almost 2 hours in the grocery store because every shelf had something interesting. To buy France’s best soap, go for the cosmetic isle in the grocery store and smell away. I bought the basil and rosemary scented bottle, but they have all kinds of types. 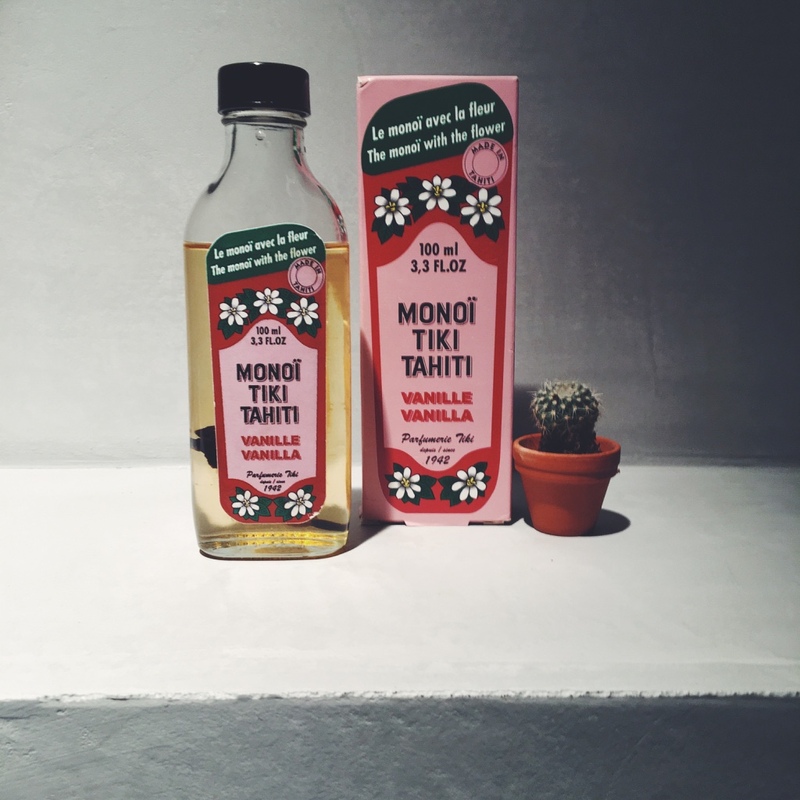 Monoï Tiki Tahiti is a unique and great product to bring back home from your vacation in France. The vanilla coconut oil can be used for your skin and hair and comes in different fragrances. This beauty product originates from Tahiti, so it’s not a typical French cosmetic must have, but so far I’ve only been able to buy it in France. You can buy this product for a cheap price of 9,95 Euro’s at a pharmacy near where you’re staying. 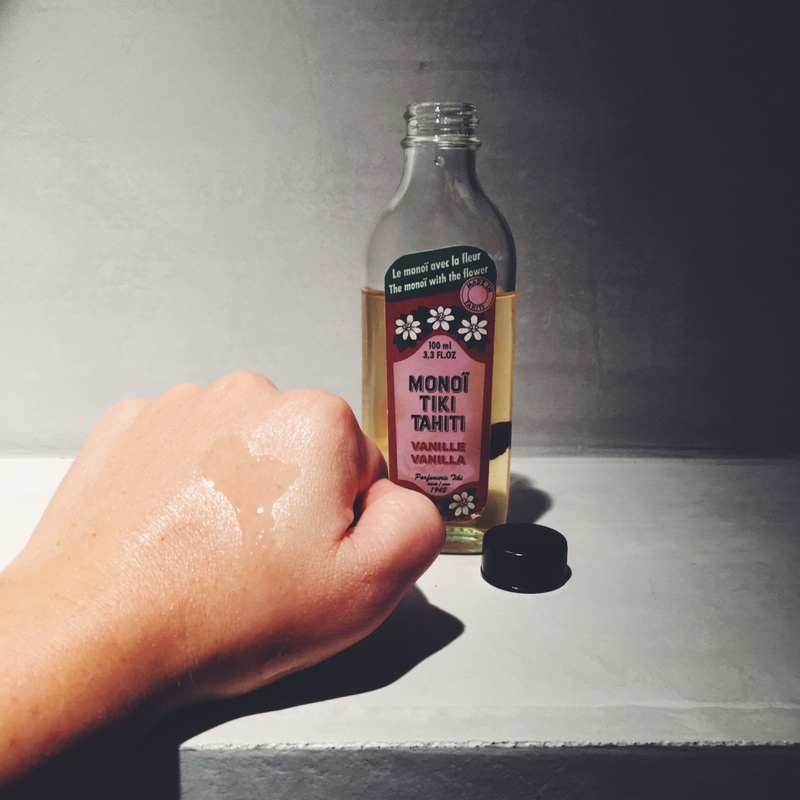 How to use Monoï Tiki Tahiti? This is a good question because the coconut oil turns solid when it’s colder than 20 degrees Celsius. This makes it difficult to pour the body oil out of the glass bottle. 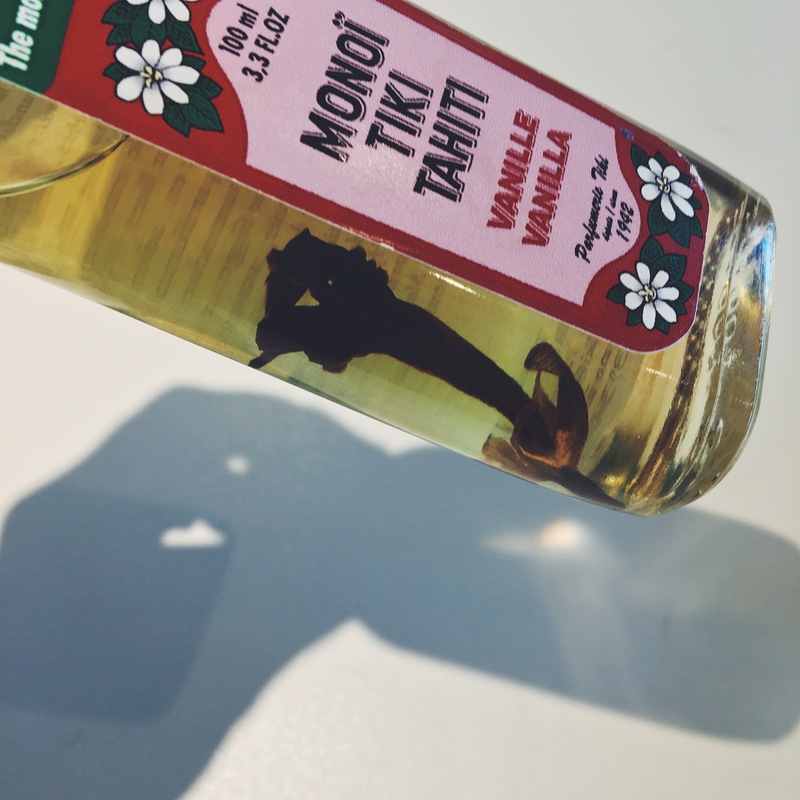 The best way to melt coconut oil is to gently heat the glass bottle of Monoï Tiki Tahiti in a pan with warm water. Watch this video to see how I heated it up in some boiling water. You can clearly see the difference in structure and color between the hardened coconut oil (left) and the liquid coconut oil (right). 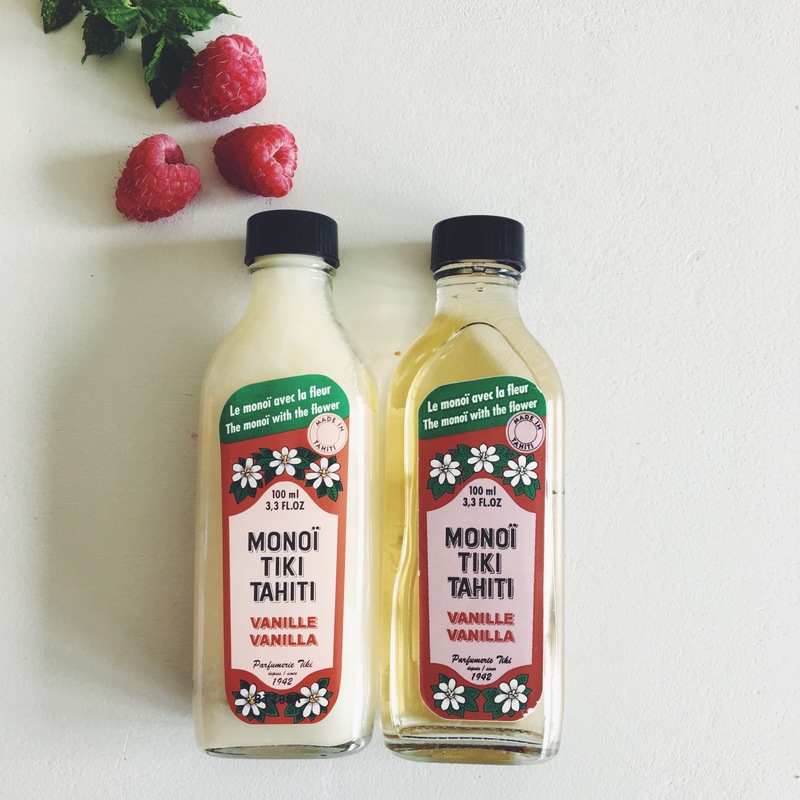 Tip: buy the vanilla Monoï Tiki Tahiti fragrance body oil because it smells the sweetest. Every vanilla bottle is unique because they each have their own flower. Also, be careful with pouring because the oil quickly spills out. 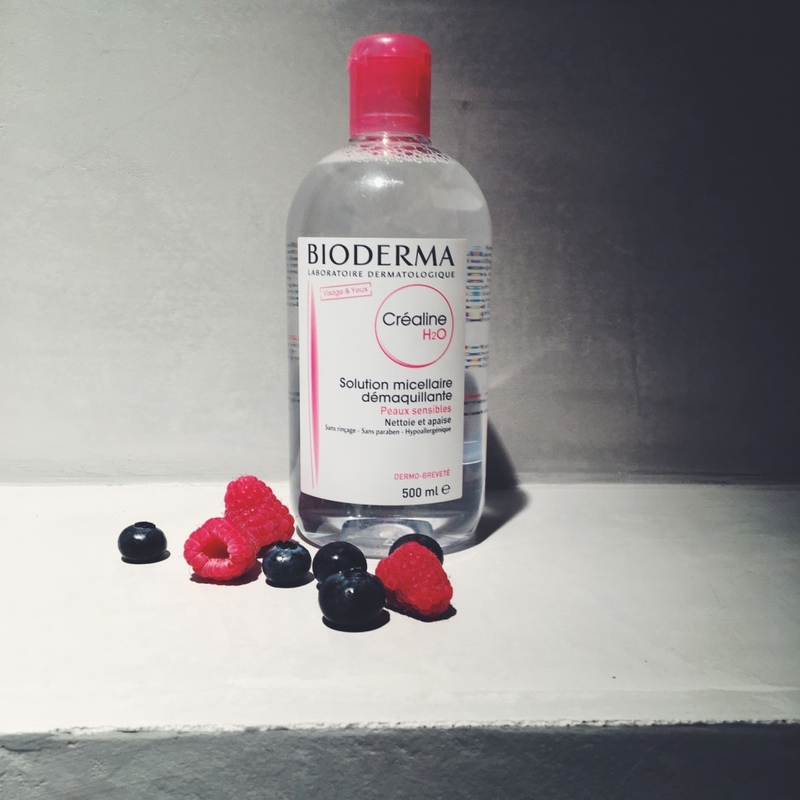 Bioderma is the best kept secret within the French modeling industry and there’s a good reason why! This is the best hypoallergenic cleanser for sensitive and easily dry skin which is amazing as it’s such a powerful and great makeup remover. Bioderma is parabens free, has no alcohol and does not contain perfume. Every kind of makeup can be removed with this cleanser and is a great alternative for face washes. Bioderma is an all in one face cleanser and makeup remover because, it’s so mild for your skin and at the same time removes every type of waterproof makeup. Makeup artists from around the world will load up on this famous cleanser when they’re in Paris and can easily bring back home a whole suitcase full of Bioderma Créaline Sensibio H2O. These pink bottle’s are quickly spotted backstage at any fashion show because they do the trick without damaging your skin! 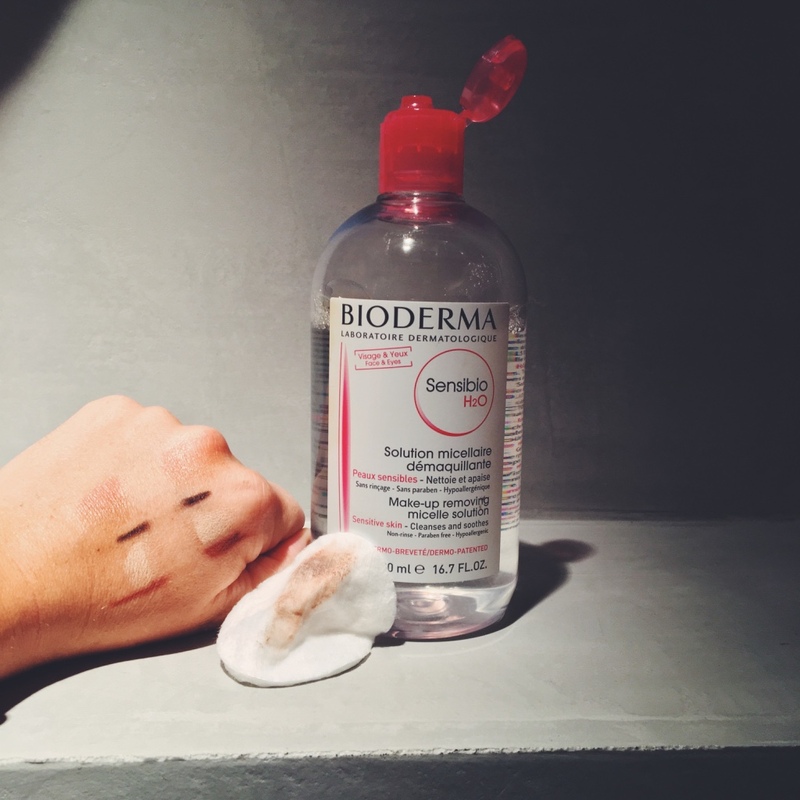 How to use Bioderma Créaline Sesibio H2O? Apply Bioderma on a cotton pad and gently rub over face and eyes to remove all your makeup. Usually one cotton pad is enough (it cleans: waterproof eyeliner, mascara, concealer, foundation and blush). My skin feels nice and clean afterwards and doesn’t feel dry at all. A definite must have for every makeup lover! Weleda rose oil for your body and face is an amazing natural anti age serum that will keep your skin beautiful and young. The rose oil and jojoba oil nourishes the skin and it has a subtle rose scent with a slight earthy touch so it’s not too overwhelming. Because this French beauty product has an amazing natural healing power you can apply rose oil to damaged skin or acne scars. 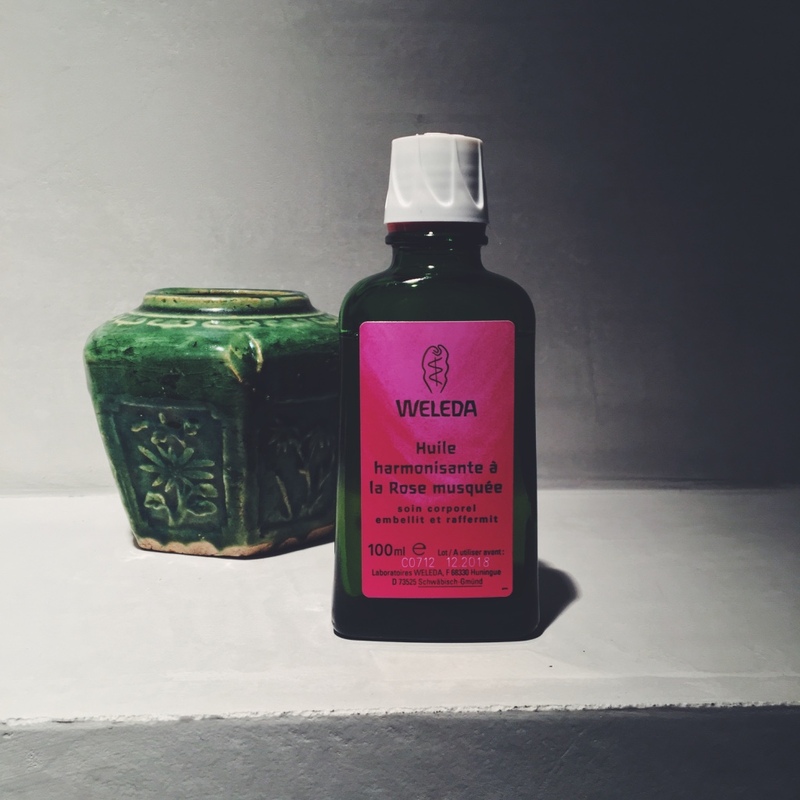 Weleda’s rose oil reduces the appearance of skin discolorations, scars, burns and wrinkles. Buy it at the French grocery store for around 10 Euro’s as it’s cheaper than the pharmacy 15 Euro’s and definitely cheaper than back home 20 Euro’s! 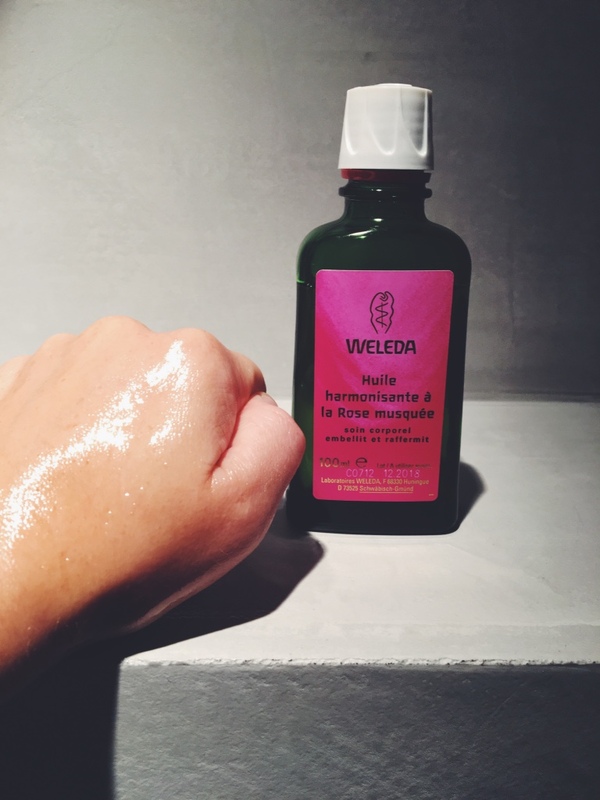 How to use Weleda Wild Rose Body Oil? Smoothly apply the thick essential oils to your body or face after having taken a shower and massage it into your skin. It doesn’t absorb as quick as for instance the Nuxe oil but it will leave your skin feeling soft and moisturized immediately. I prefer to apply it at night before going to bed because it’s a bit too oily for underneath my makeup during the day. This is another famous French beauty brand that every actress and celebrity in Hollywood has lying in their beautycase. 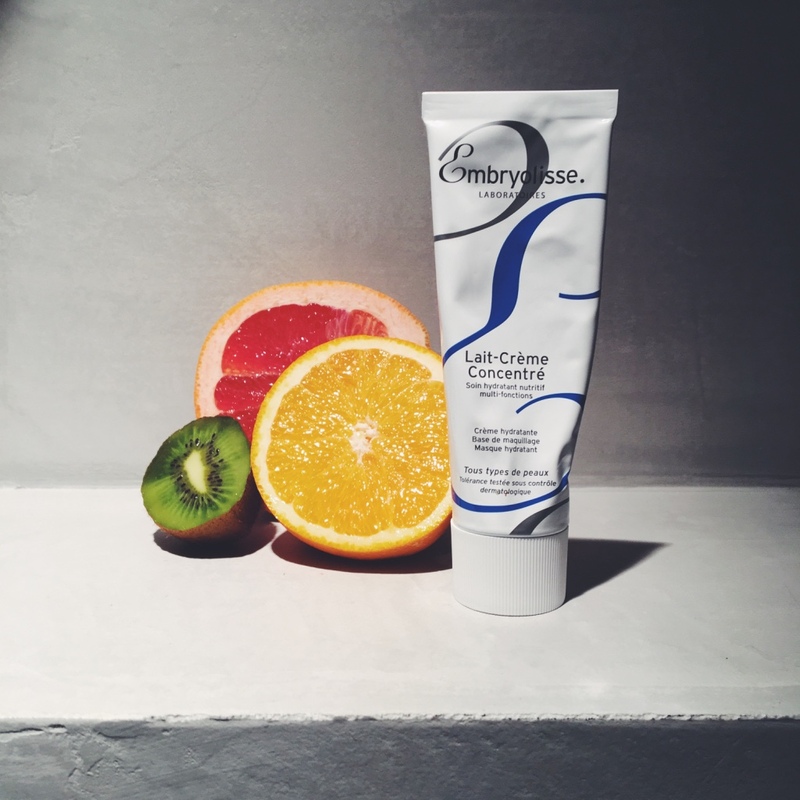 Embryolisse Lait-Crème Concentré is the miracle moisturizer that makeup artists and dermatologists swear by. 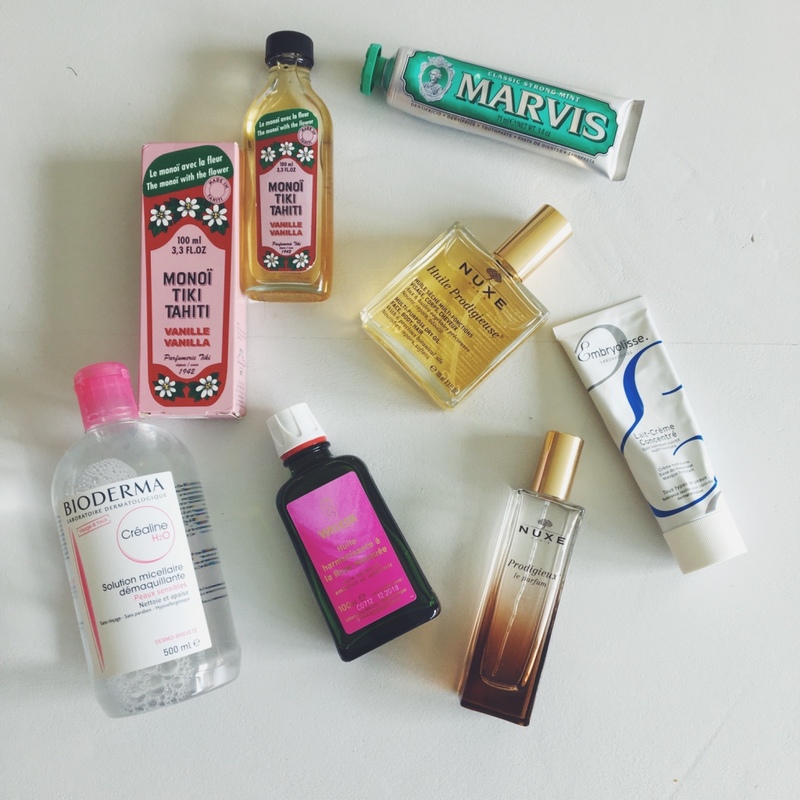 Why you may ask is this Frances best kept beauty secret? 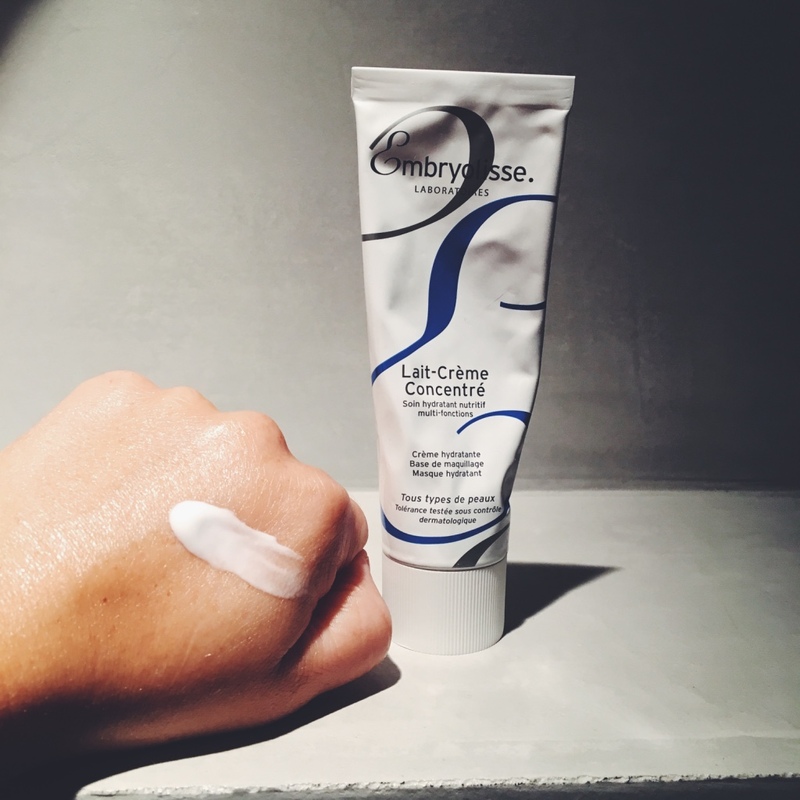 Lait-Crème Concentré moisturizer is famous for being the best primer before putting on makeup. It wil keep your face looking fresh and plumb the entire day and will keep your makeup in place. Beautybloggers around the world have written thousands of articles about this cult product so it’s about time that you start trying this airy moist wonderful must have. Buy it at the French pharmacy. Conclusion: Don’t miss these famous products of France to bring back home! These 8 must have French products are amazing to bring back for yourself or as a gift for people back home. Take this quick and easy checklist with you to the grocery store or the pharmacy the next time you’re in France and get shopping. Do you want more amazing French beauty products? Find our more and read: A complete guide to French beauty products.